In a year with close to 312 meals at deserving addresses, here are the top 12 restaurants of 2012. Obviously, this not a comprehensive list of the 12 best restaurants in the world. I’m not a Michelin “inspector.” Or am I? In some cases, these were the best meals because of a special occasion being celebrated. In all cases, they are the dozen restaurants where the trio of accomplished food, enjoyable atmosphere, and affable service shined brightest, leading me to leave the restaurant wanting to return again and again as a regular. Is there a unifying trend? I could say they all focus on local, sustainable ingredients, with that being the theme of kitchens worldwide in 2012. Except I’m not sure some of these dozen do focus on that. They all do have excellent service, but not necessarily in a “we’re your close friend” way. Just visit Pushkin. 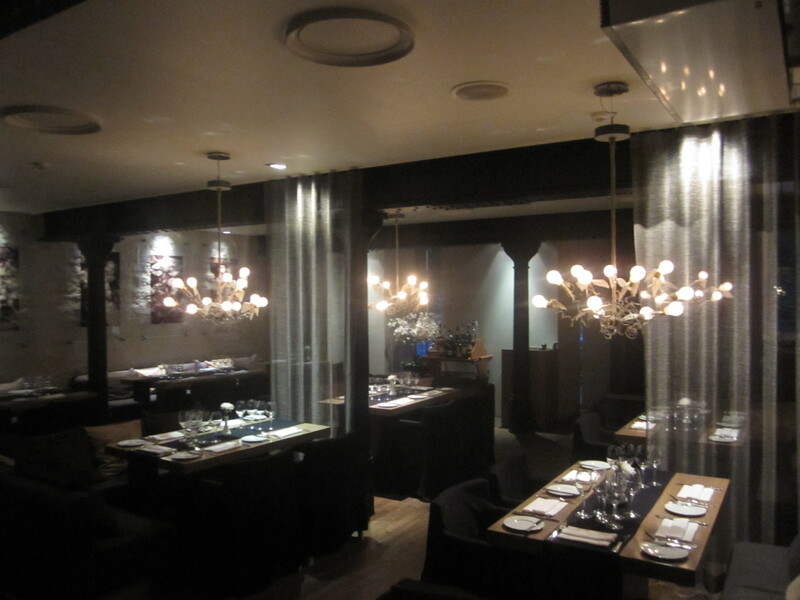 They do all have memorable atmospheres, ranging from the minimal and barren to the opulent and elegant. Most importantly, these are restaurants that present exceptional meals. That is why we so love restaurants after all, isn’t it? The chefs and service staff care that you have a memorable time with them. In the next week, we’ll take a look at the 12 sips and bites that stood out most in 2012, along with looking towards the future for 2013 (and a review of the esteemed silver medal winning restaurant in this article). For now, let’s take a look back at what certainly was the most memorable year of dining in my lifetime. Cheers to the hard work, remarkable creativity, and love for the dining art of the chefs and staff at these restaurants… your effort certainly was immensely appreciated! 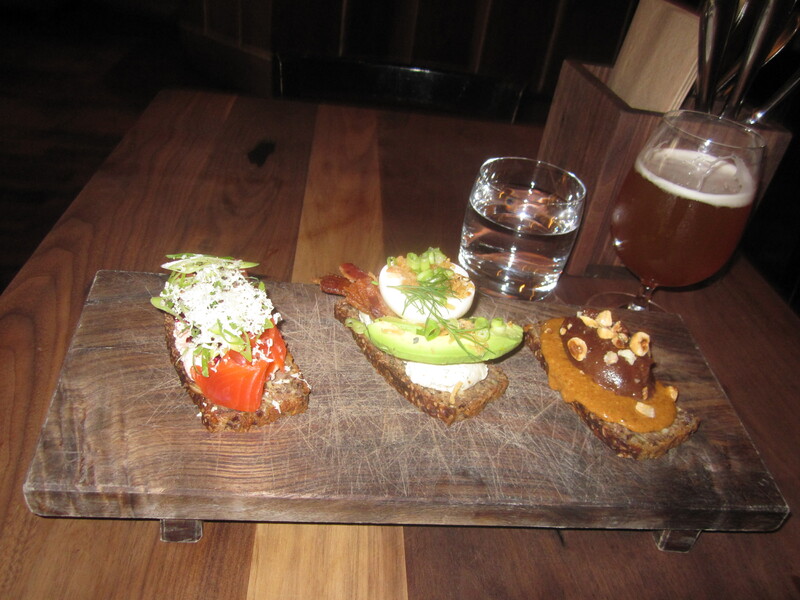 Right now, Bar Tartine is firing on all cylinders as San Francisco’s premier lunch spot for sensational smørrebrød (see the top 12 bites of 2012) by day and a fascinating, California meets Eastern Europe (mainly Hungary) with a few Asian notes lineup each night. Nobody cooks quite like Nick Balla, as seen by his light, airy fried bread known as langos and a tripe stew bolstered by cabbage, fennel, and the restaurant’s favorite ingredient, paprika. The stew achieves the rare triumph of silky tender tripe, with more depth than a canyon, and has a broth that tastes more of barbeque than Arthur Bryant’s. Bar Tartine is no longer just the little brother of the city’s best bakery. You’ll always remember your first day in Moscow for many reasons, with special meals not usually being one of them. From the opening vodka toast and a definitive borscht and pelmeni, to the spectacular beef stroganoff and Pushkin’s cherry sherbet meets chocolate mousse namesake dessert, every dish dazzles. The servers never, ever smile. The atmosphere could be a bitterly emotionless palace with an over-the-top elegance. Even wine bottles are held in a wicker basket at the table as if this was an antique shop. 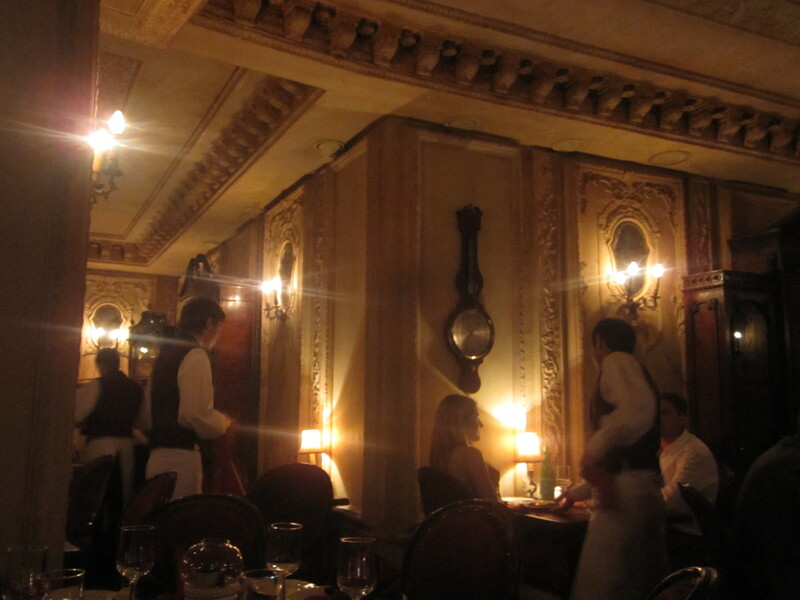 A meal at Pushkin is Moscow’s essential restaurant experience, and also arguably Russia’s. In a very good way, too. Quick, name the gastronomic capitals of France and the U.S…I’m sorry, repeat that again. Paris and New York are what you said? For France, the gastronomic heartland is always considered Lyon, home to the homiest of bouchons and quite possibly the world’s most influential chef, Paul Bocuse. In the U.S.? That’s a harder question, but there is no doubt as to the importance of food and drink in Portland’s unique cultural fabric. Which brings us to St. Jack, a spruced up, crisp, riveting Lyonnaise bouchon that plays the part better than any I have visited actually in Lyon, from the zinc bar to the pots of wine to those madeleines baked to order. Everything sings here at this barely a year old stalwart. Start with the “Baccarat,” one of the more fascinating takes on a “Manhattan” you’ll find, jazzed up by Aperol and Maraschino liqueur. Steak tartare, salade Lyonnaise with a perfect poached egg and ratio of bacon lardons to frisée, a quintessential boudin noir, or an exquisite bouillaibaisse that is more local to Marseille than Lyon, but made completely unique by a caramelized onion broth; no matter what you order, it will be spot on courtesy of chef Aaron Barnett. You will be full by dessert time, but nothing ends a meal in Portland better than Alissa Rozos’ dark chocolate crémeux, as majestic as a clear day view of Mt. Hood. Do note that like # 12 Bar Tartine, St. Jack is completely different in the daytime and worth a visit at lunch for its tartines and more of Rozos’ pastries. Like the aforementioned Bar Tartine, there are just certain restaurants that are truly unique. 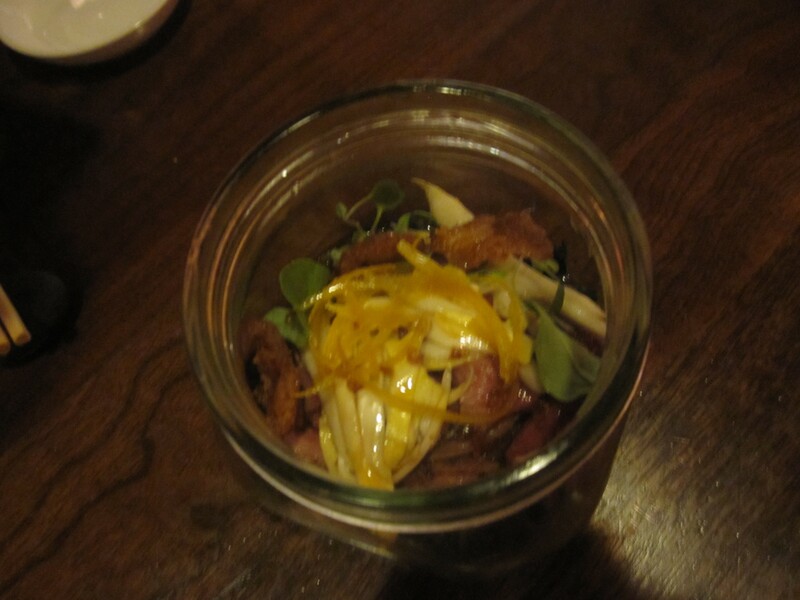 After two visits in the rookie year to Josef Centeno’s stud in Downtown L.A., I can’t enough of his electric cooking. 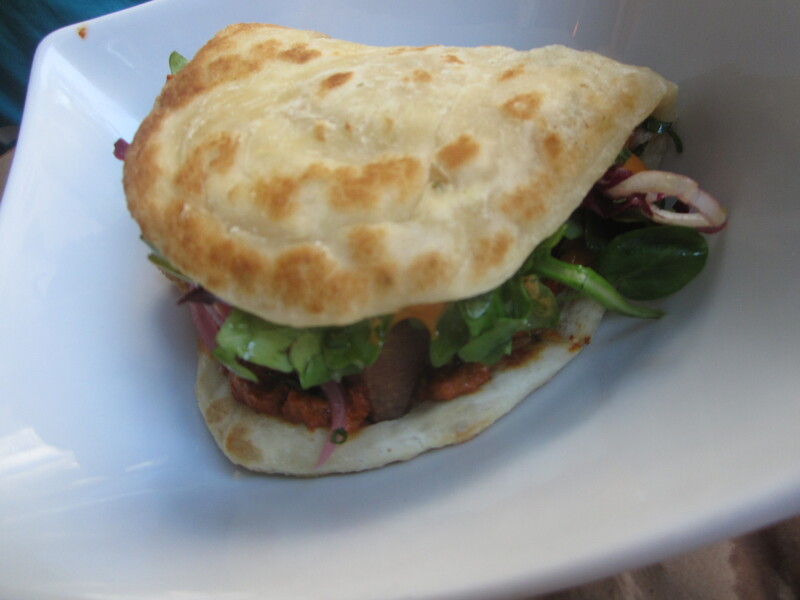 The vegetable-heavy menu soars, but it’s always the namesake taco-gyro-flatbread hybrid that you leave singing about. Don’t skip the terrific housemade sodas and cocktails, either. Most of the restaurants on this list fall into two categories: new and exciting, or enduring classics. Range occupies that niche in between that every city needs: a mid-range restaurant that you can always trust for a superb meal. The cuisine has only improved this year under new chef de cuisine Rachel Silcocks. The cocktails remain top tier; so too do the desserts under Michelle Polzine. The coffee rubbed pork shoulder and Polzine’s soufflés border on iconic status. And yes, the service remains tops in San Francisco. 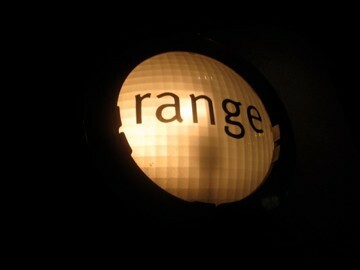 If I taught a class on restaurants, students would take a field trip to Range. 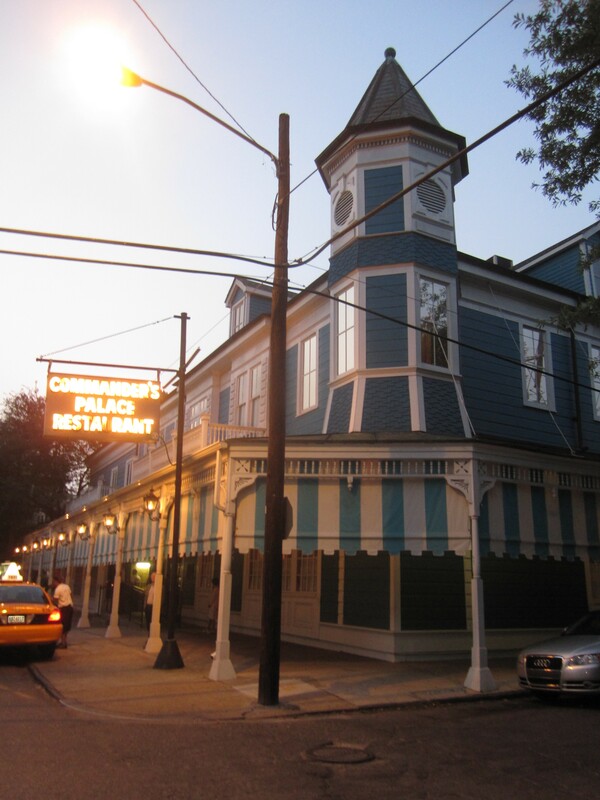 The Brennan family’s over a century old, blue grande dame Victorian of the Garden District continues to be the standard bearer of Southern hospitality. Somehow the service balances formality with never seeming obtrusive or stuffy. It’s no wonder it seems every year the James Beard Award for the category always goes to this restaurant. And I’m saying this after sitting at the worst table in the house, where every server or diner had to walk by me and knee the back of my chair. The Sazerac won’t ever be considered the standard in New Orleans, and the “famed” bread pudding was dry. However, a meal of Turtle Soup spiked with Sherry, the Shrimp & Tasso Hennican, and a sublime duck with Shiitake mushrooms over that Southern favorite “Dirty Rice” is as special as ever from chef Tory McPhail. Don’t even ask about dessert. There is where you get “Bananas Foster” properly flambéed right before your eyes. They just don’t make them like Commander’s much anymore. Is it pronounced with a French accent or is “pigeon” pronounced just like the word? 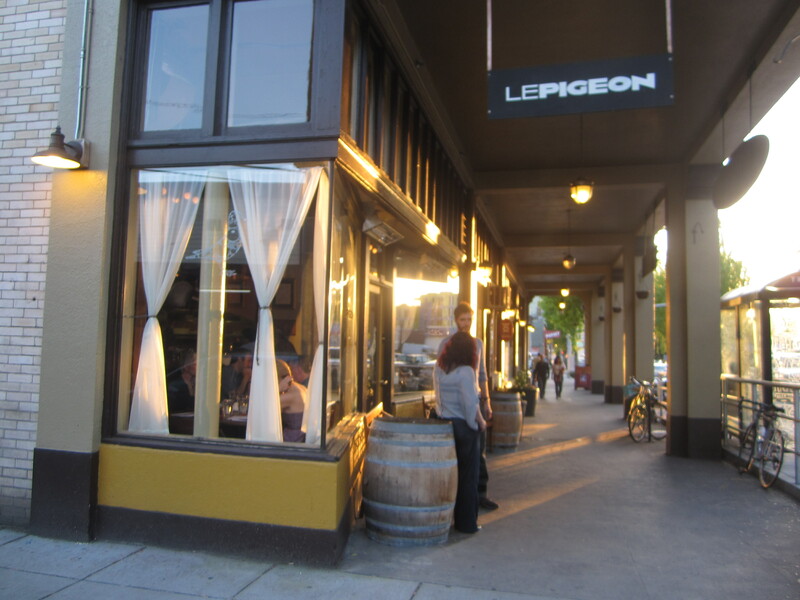 It makes no difference really, but that question also shows where this terrific casual bistro with hints of French formality brings arguably Portland’s finest meals. Gabriel Rucker’s creations can sound heavy, but never go overboard. He has a meticulous touch with a grilled lamb tongue, delicately enhanced by asparagus, a poached egg, and Calabrian jam. The real showstopper may have been the smoked rabbit pie with yes, both cheddar cheese and a savory hot mustard ice cream. But when I think of Le Pigeon, and so do most diners who have been fortunate enough to visit Rucker’s East Burnside new legend, it’s the foie gras profiteroles with caramel sauce and a kiss of sea salt. Californians may move to Oregon just to eat this dish weekly. Earlier in the day, my ferry across the Gulf of Finland to Talinn from Helsinki hit terrible stormy waters. Already being sick from my time in Russia, I joined roughly 95% of the green boat in sea sickness. Food and wine were the last things on my mind upon disembarking in Talinn. It’s as if there was some angelic intervention upon my arrival for lunch at Sfäar, enjoying a superb beef tartare and smoked duck breast with a pumpkin compote. Sfäar could be the best restaurant in Talinn if it weren’t for its next door neighbor, Ö. With lush, sweeping white curtains and a theme of angels, Ö thoroughly convinced me of Talinn’s importance on the European culinary scene, despite my meal being accompanied by orange juice. 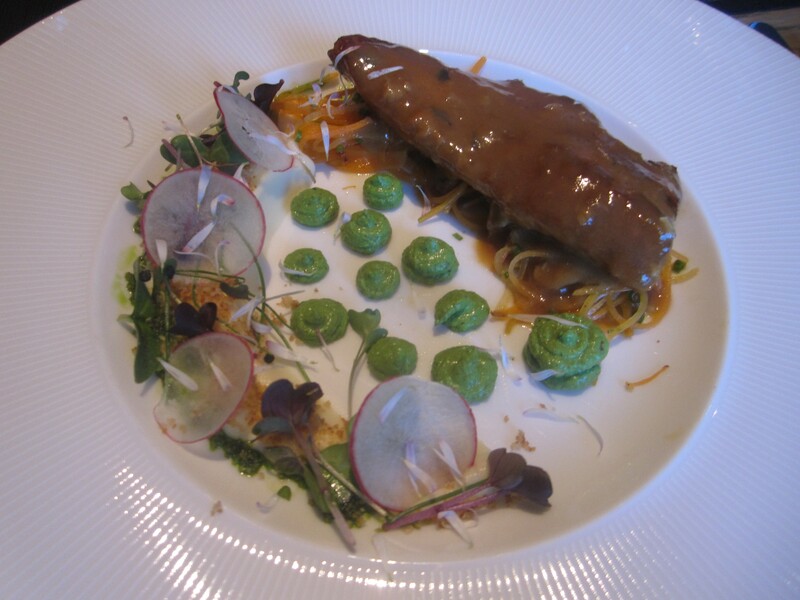 Eel gets smoked with Estonian apple wine and spicy carrots atop a parsnip puree. Spoiler alert, the year’s best dish came here as well, with an immaculate, silky duo of langoustines nestled next to green apple blinis, basil mayonnaise, tomato marmalade, and pink grapefruit. Caviar and blinis is so passé. If Ö were in Paris or London, it would have a month long wait list. Now a little over a year old, Michael Voltaggio has really settled into his groove. 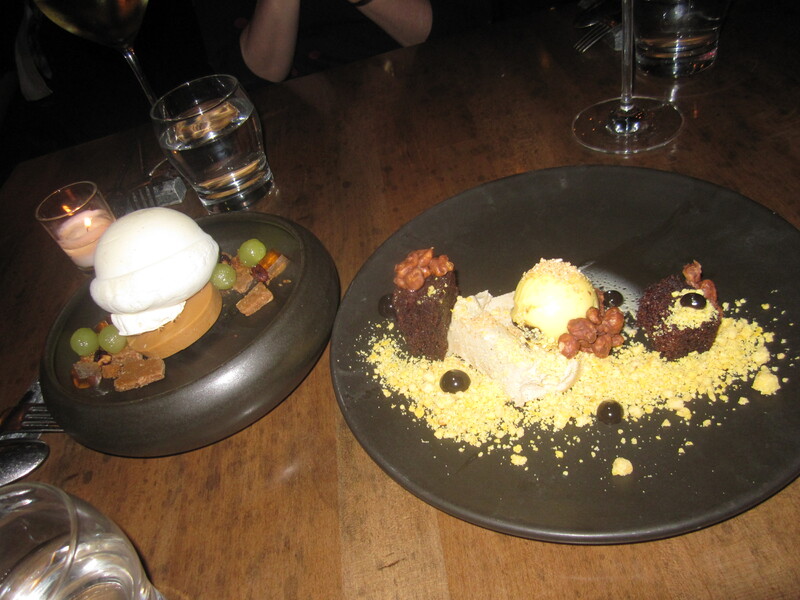 Having dined extensively around Los Angeles as a critic the past few years, I can honestly say that my meal at Ink was the most exciting and complete of any in the city. Celebrity chef cruise control? Brusque Melrose attitude? Not here. The almost zen-like room is a temple to Voltaggio’s slightly molecular gastronomic view of California cooking. His touch is gentle with egg yolk gnocchi paired with scallops and mushroom hay, while he flexes his muscles with a thrilling slab of barbeque Wagyu short rib, as vibrantly red as if it were ready to head to the grill, except it’s already cooked to a melting tenderness that generates swoons from guests. Except as superlative as the savory dishes can be, the cocktails and desserts may even be more impressive. Words can barely describe the caramel crémeux with maple caramelized walnuts, a burnt wood nitro frozen sabayon sphere, more burnt wood as ice cream signature, and compressed apples for Voltaggio’s heavily autumnal signature sweet creation, or the abstract, captivating persimmon pudding with white chocolate ice cream, corn crumbles, and swirls of funky, earthy huitlacoche. The memories of them will be as permanent as ink itself. The hardest decision I had to make in Austin was choosing my one dinner between Uchi and its younger, larger sibling Uchiko. It wasn’t easy. Ultimately, one colleague simply told me at Uchi you get Tyson Cole. 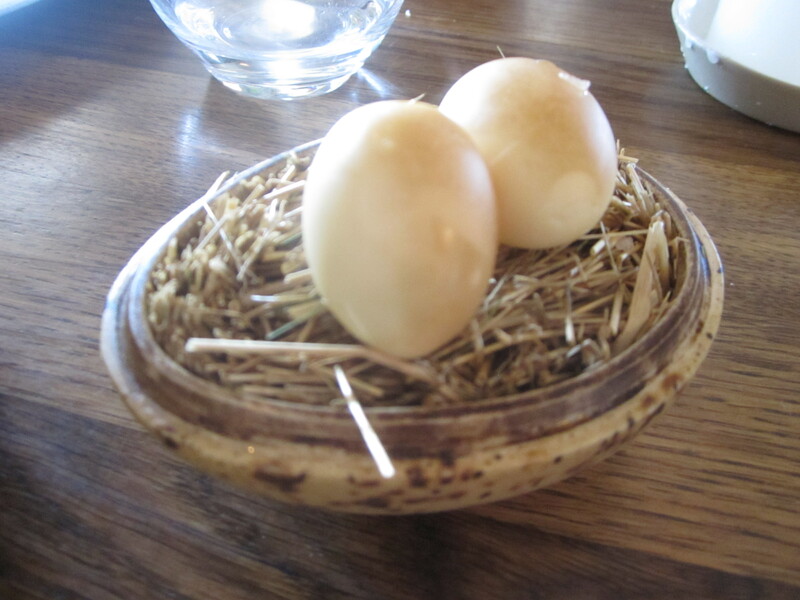 At Uchiko, you get Tyson Cole and Paul Qui. Soon here in 2013, Qui will be opening his own restaurant. Hopefully, Uchiko stays right on the same path it was on with him aboard, because few restaurants today present the excitement of what I sampled at Uchiko. The loose “Japanese Farmhouse” cuisine at Uchiko leads to a festival for all senses: the rosemary smoke that escapes the mason jar encapsulating the “Jar Jar Duck,” and the incredibly lush texture of the Wagyu short rib medallions, bathed in a sauce of fennel, fish sauce, and tarragon, alongside coins of compressed strawberries. Yes, steak and strawberries. Also for diner’s pleasures and imaginations: cured Norwegian mackerel with tomato and truffle basil from the gifted sushi chefs, and Japanese bream blessed with shiso, Meyer lemon zest, and olive oil, where you are instructed to flip the fish on your tongue so the lemon hits the palate first. No name is more magical in the gastronomic world, nor synonymous with fine dining excellence, than this historic establishment in the heart of the Napa Valley. Having lived most of my life in Northern California, studying the restaurant and its philosophies as if it were for a PhD., my first visit to the fabled stone house at Washington and Creek did not fail to capture my imagination. From the opening delicate gougeres and salmon tartare cornets to the “Oysters and Pearls” that exude a luxury which could make an easy case for the return of haute cuisine, to the most fulfilling steak flavor I’ve ever found in the Snake River Farms “Calotte de Boeuf Grillé,” even with slight expansion, the Thomas Keller flagship is absolutely on top of its game. It’s never stuffy, though a few waiters should consider smiling more. If only I could have a few more bites of that Butternut squash porridge, enhanced with the nuanced earthy overtures of shaved black truffle, the umami of Parmesan, and the boldness of Sicilian pistachios on the Tasting of Vegetables, and finish with another morsel of that cinnamon “whip” foam with the chocolate “torte.” It took forever to finally make it here. It was more than worth it for this definition of a special occasion.. The “Best Restaurant in the World,” according to Restaurant Magazine’s San Pellegrino Top 50 Restaurants in the World list for now three years running, was the best restaurant experience also for yours truly the past year. René Redzepi’s whimsical, New Nordic cuisine juggernaut right along the main canal of Copenhagen deserves every bit of acclaim it has received. There really is nothing like it. It’s an event. It’s a circus. It’s an art gallery. 27 courses later, I was satisfied, but not weighed down by the heaviness of any other 27 course procession. That’s because Redzepi’s menu is truly a work of art in style and organization. The shotgun bites approach at the start stimulates without overwhelming the palate. Here you’ll sample tiny, live shrimp, eaten whole with a smear of butter. You’ll eat malt flatbread that looks like grass in the flower vase on the table and a formidable fruit roll-up made of black currant, coated with crisp pork skin like chicharrones. 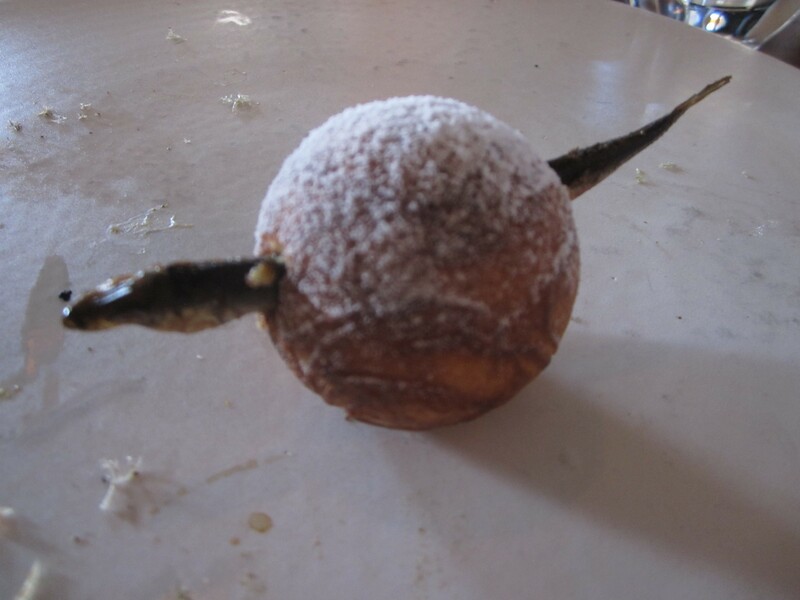 To conclude before halftime, the classic Danish Christmastime doughnut Aebleskiver is re-imagined, filled with the sardine-like fish, muikku. The dish presents a fantastical charm not unlike Christmas morning when you were a young kid still believing in Santa. The waiter will fool you into thinking the meal is over before leading you to the adjacent bar for some bone marrow infused caramels over finishing coffee. 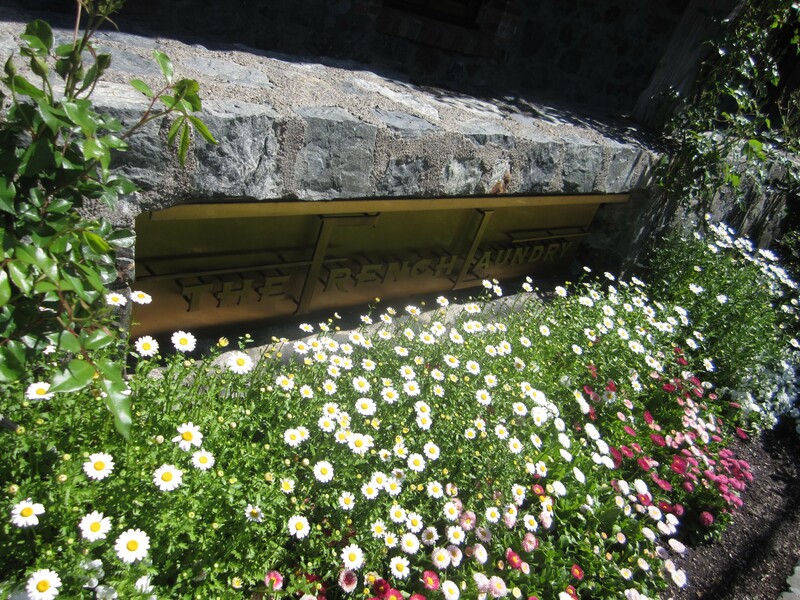 So, of course a year with a meal at both Noma and The French Laundry is a precious year. Both days were splendid, full of sunshine. Both meals featured dozens of incredible taste sensations, bolstered by consummate, affable service to put you at absolute ease. 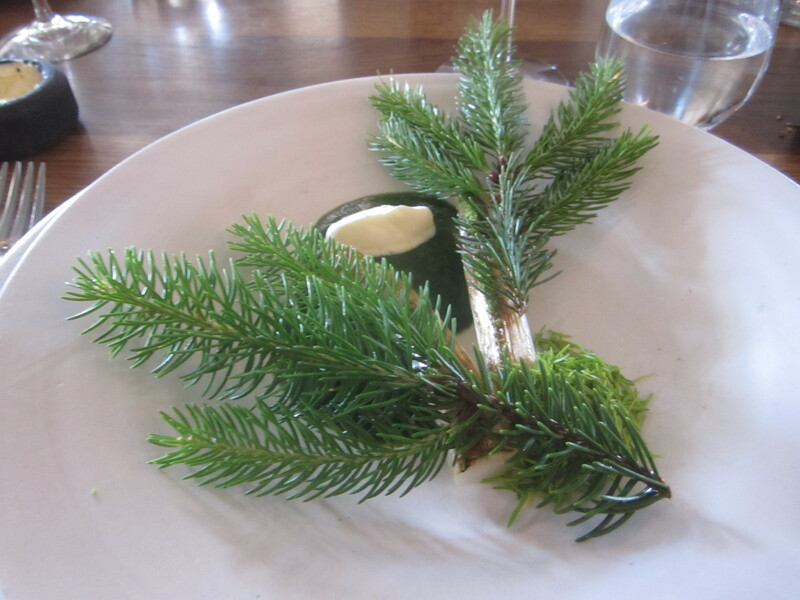 In the end, Noma just was so different than anything else I ever experienced. 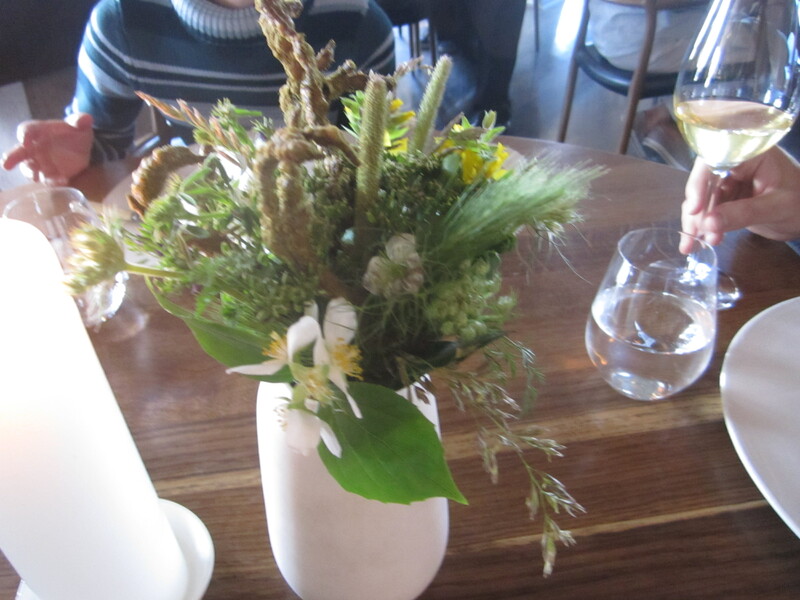 It is truly more than a meal to be in the hands of Redzepi and his team. It’s a dizzying experience that doesn’t leave you actually feeling disoriented. It speaks magnificently of its place and time. Copenhagen 2012. 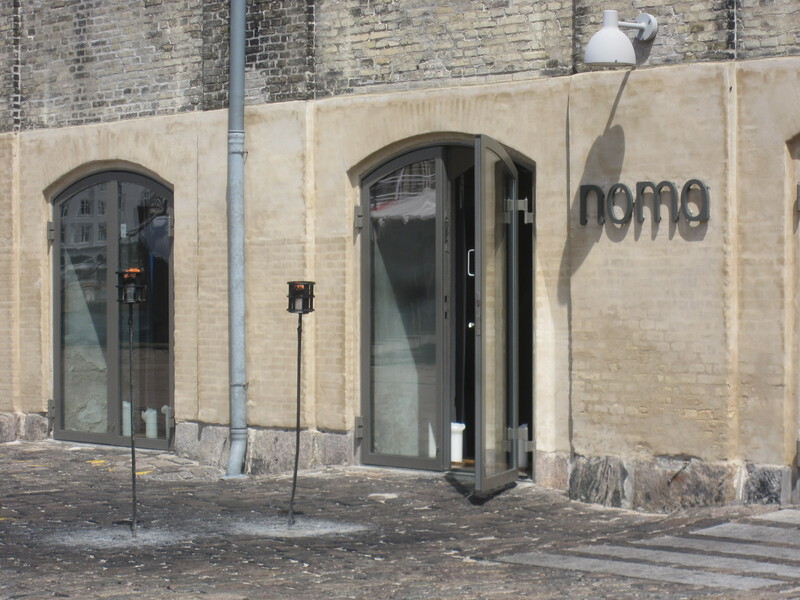 Noma is now as established a landmark of Copenhagen as The Little Mermaid and Tivoli Gardens. Redzepi flawlessly blends the fairy tale character’s compassion and relentless curiosity, with the grand adventure of the famed amusement park for a restaurant experience that will be talked about centuries from now, much like we still discuss Escoffier and Carême today. In the Noma fashion, may I direct you to the center of the table. No, this is not just an ordinary restaurant year. 2012 was an incredible year for dining. Here’s to continuing where we left off in 2013. 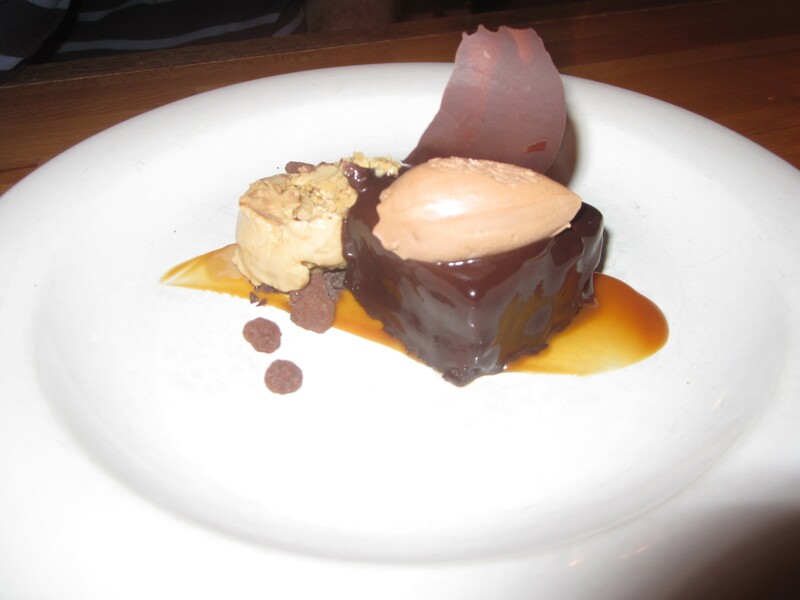 This entry was posted on January 9, 2013 by trevsbistro. It was filed under Insight .